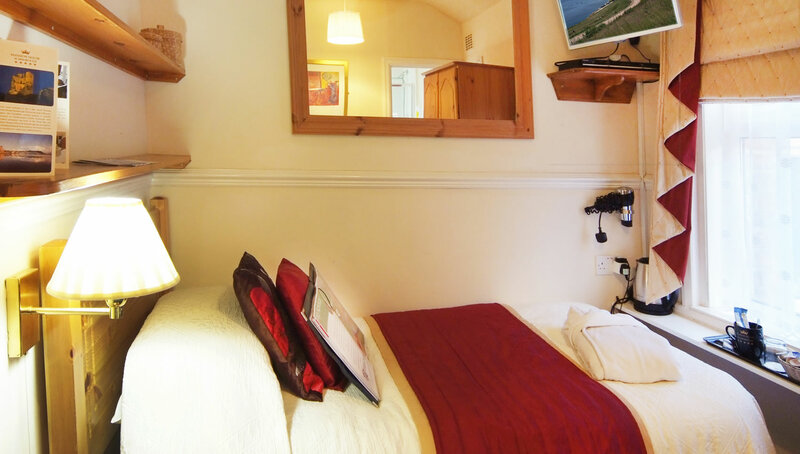 Small, single bedded room, tastefully decorated and with en-suite shower facilities. Interconnecting with a double room also available. Please be aware that unfortunately, we do not have a lift, our Single Room is on the top floor. (68 stairs) If you require something on the first/ground floor please call us direct.